Is there a teacher who has made a difference in your life or your child's life? Recognize them for their accomplishments by entering a short essay about them and why they've made a difference. The Teacher must currently work in Okaloosa, Walton, or Santa Rosa County. Nominating is as easy as 1-2-3! 3. Fill out the submission form and submit it. 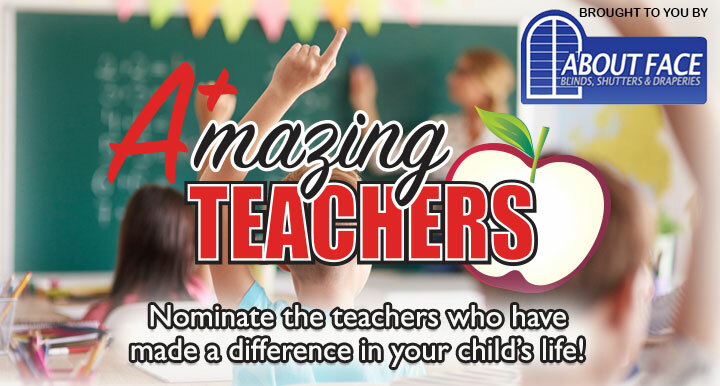 During the 2018-2019 school year, we ask for nominations for teachers that make a difference! Each week we will honor one teacher from the Okaloosa, Walton & Santa Rosa County School Systems in print & online. One lucky teacher will receive a 3-Day, 2-Night stay at the end of the school year. Start making your nominations now!